What does a panda ghost eat? Bam-BOO! Knock, knock. "Who's there?" "Annie." "Annie who?" 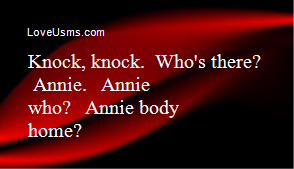 "Annie body home?" What pants do ghosts wear? BOO jeans.